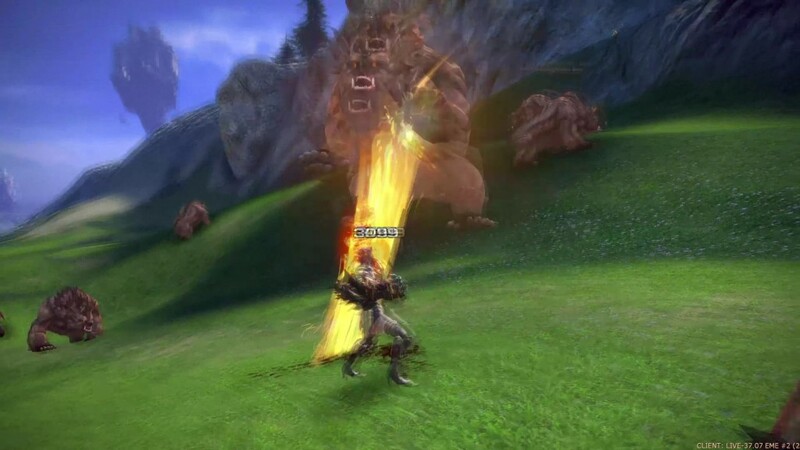 There’s a new challenger that’s heading for the world of TERA Rising this December, and this challenger has one hell of a mean left hook. Simply known as the Brawler, this new class is a complete and total game changer. Standing alongside the Warrior, Lancer and the re-tooled Berserker, the Brawler is a melee-focused, counter-based tank who can perform brutal attacks using two powerful gauntlets known as Powerfists. Along with a set of devastating skills including knockbacks, staggers and combos, the brawler is a force to be reckoned with. After witnessing the new class being demonstrated in the South Korean version of TERA, I was curious to try it out for myself, because along with the new class, new gameplay mechanics were also being introduced with it. Starting off the preview tour, I joined up with CM Treeshark from En Masse to give me and my colleagues a rundown of the brawler’s skillset. The brawler has a unique way of performing regular attacks compared to other classes, as the LMB performs a string of punch attacks while RMB performs a blocking stance. 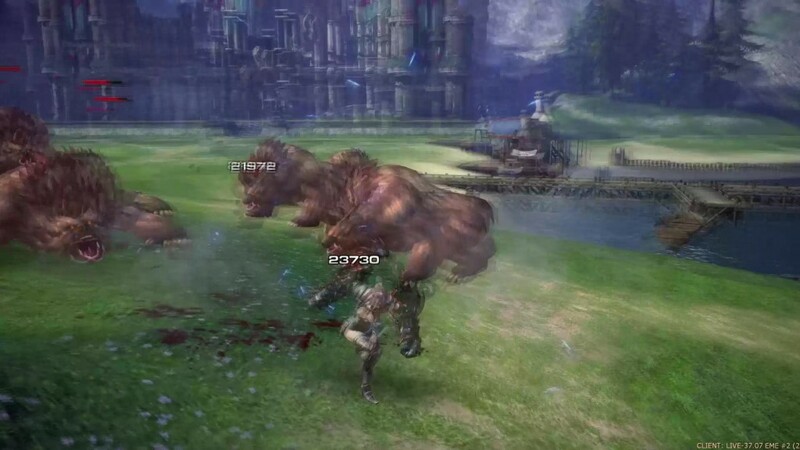 When players hold down RMB to perform their blocking stance, they can easily absorb a fair amount of damage, but if they perform a block right before an enemy attacks, they’ll achieve a “Perfect Guard” state that will shrug off all the damage from that single attack and can follow up with a huge counter attack. And LMB > LMB > LMB > LMB > RMB knocks enemies down. …Or they can just keep punching the hell out of everything, regardless of the situation. That works, too. Speaking of launching enemies into the air: The brawler class is the first in the history of TERA that is able to knock enemies up into the air and juggle them using their various skills. Unlike other classes that focus on stuns, roots or snares to CC opponents, juggling is brawler’s own form of CC. Attacks like Roundhouse and Flip Kick will knock enemies up, while skills like Bull Rush, Haymaker and Jackhammer, along with regular punches, will keep them in the air for an insane amount of time. After we were given the rundown on how the brawler dishes out damage, it was time to give the class a quick test run. As a former TERA player, I quickly grew accustomed to the brawler’s brand of destruction and was able to destroy enemies with ease. Of course, my character was equipment with some heavy duty gear and weaponry, so most of the enemies were dead within a few hits. I and the rest of the participants wanted to bash our fists against something that wasn’t going to crack so easily, so our tour group’s next stop was the new dungeon “Kalivan’s Dreadnaught” to fight some tougher baddies. As the dungeon run started, everything was pretty straightforward and typical of what you would expect from a TERA dungeon: Kill trash mobs in your way, grab some loot and head to the next room. After clearing a few rooms, we came face to face with the dungeon’s first boss named Pepero. While this boss did look like a recycled boss from previous dungeons, it did have a few new tricks up its sleeve. While CM Treeshark handled the tanking, the rest of the group rocked the DPS. Getting the hang of blocking and dodging away from Pepero’s attacks was a lot more challenging than I expected, but once I started getting into a rhythm, I was able to focus on dealing damage, and the results were satisfying. After beating the boss and clearing a few more rooms, we came across another boss named Polyphemus, a mean cyclops who deals out massive AOE attacks. Once again, it took me awhile to get the rhythm, but I managed to come through and do my job as the DPS combo king, not to mention that I only died once, where as my team bit the dust on multiple occasions. Last up, we faced off against the last boss named Kalivan, a Naga monster who was armed from head to tail. While I used to spend a lot of time farming Nagas for sport, this boss threw me for a loop as he performed special AOE explosions that were nearly unavoidable. Despite getting knocked down and damaged several times over, I hung in there and started to tear Kalivan a new one. At one point, I even managed to pull aggro away from CM Treeshark when the boss had more than half of its HP deleted. This caught me completely by surprise as I was so in the rhythm of maxing out my dps, I completely forget I was supposedly playing a tank class. Typically tank classes just aren’t satisfying to me, so this feeling of getting lost in the rhythm made for by far my favorite tank class I’ve ever experienced. As the tour ended, I thought to myself, “With the new juggle mechanic, isn’t this going to make the Brawler a bit overpowered when it comes to PvP?” I then asked CM Treeshark his thoughts on the matter, with which he stated that PvP balance will be just fine, as the Brawler has certain limits and disadvantages when compared to other DPS classes. Now, I was still a bit skeptical at the time, but I still took his word for it. I also asked Treeshark what other content will be featured when the Brawler gets released, and he mentioned that another dungeon called “Forsaken Isle” will be released alongside Kalivan’s Dreadnaught. There will also be new balance chances, new end-game gear and other quality-of-life functions such as the options to self-revive after death. While this sounds nice, as well as a broken feature, being able to self-revive will cost a hefty amount of gold, so players will have to use them sparingly, or just get revived the old fashion way by having a healer pick them up. The new Brawler class is a real game changer for the world of TERA, and I’d like to say that I’m looking forward to seeing how much things will get shaken up with the dedicated TERA playerbase as the new Brawler update arrives December 8.